Supercomputer simulations confirm a cataclysmic impact with a body at least twice the size of Earth knocked Uranus on its side during the solar system’s formation, possibly explaining the evolution of its rings and moons. The brightest area on Ceres stands out amid shadowy, cratered terrain in a dramatic new view from NASA’s Dawn spacecraft, taken as it looked off to the side of the dwarf planet. 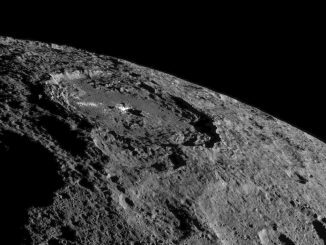 Dawn snapped this image from about 920 miles (1,480 kilometres) above Ceres in its fifth science orbit, in which the angle of the Sun was different from that in previous orbits. 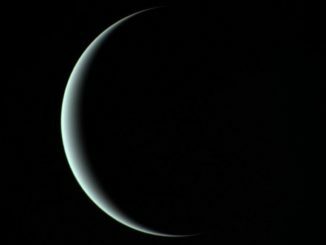 NASA’s Voyager 2 spacecraft flew by Uranus three decades ago, but researchers are still making discoveries from the data it gathered then. 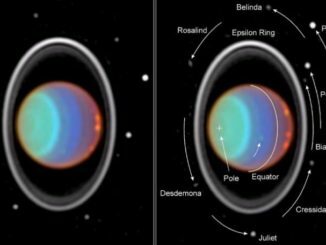 A new study led by University of Idaho researchers suggests there could be two tiny, previously undiscovered moonlets orbiting near two of the planet’s rings. 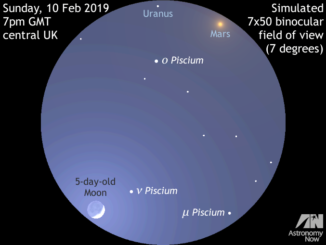 Ceres, the largest minor planet inside the orbit of Neptune, passed closest to Earth on the evening of 22 October — the night of the last quarter Moon. 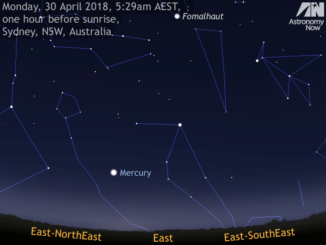 With the lunar crescent now confined to the morning sky, grab your binoculars or telescope, print out some star charts from our online guide and track down the brightest of the dwarf planets while at its best. 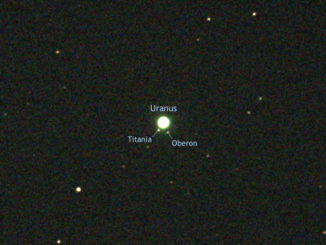 Have you ever seen Uranus with the naked eye? 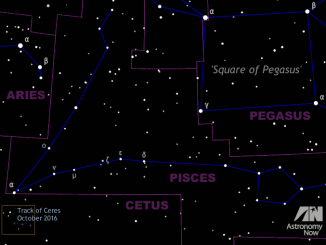 If not, moonless nights in October offer ideal conditions to test your visual acuity and sky clarity. 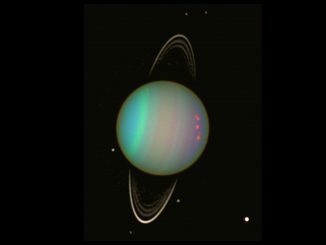 Uranus reaches opposition on 15 October and attains a respectable altitude in the southern sky as seen from the British Isles. 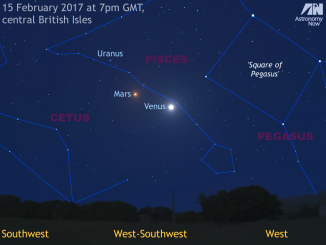 Here is our guide to tracking down the seventh planet from the Sun.